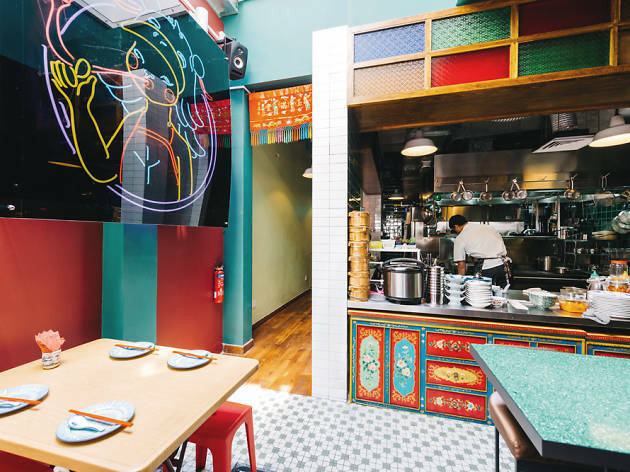 With big red lanterns hanging by its entrance, Xiao Ya Tou at Duxton Hill is hard to miss. 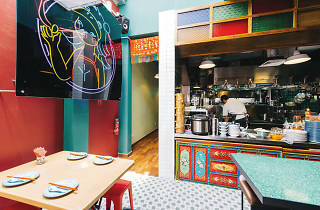 The unabashedly Asian restaurant and bar is opened by Abby Lim, chef-owner of popular brunch joint Symmetry. 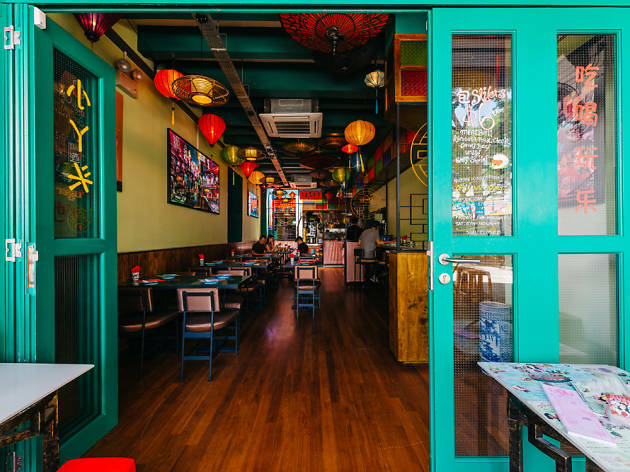 Its decor is a mishmash of old and new South-East Asian influences: paper umbrellas from Myanmar, lanterns from Vietnam, Chinese motifs, and a neon sign of Xiao Ya Tou’s KTV hostess-esque mascot. 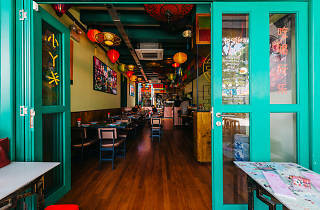 The menu is, likewise, a combination of Lim’s culinary training at mostly French establishments and her love for classic zi char. 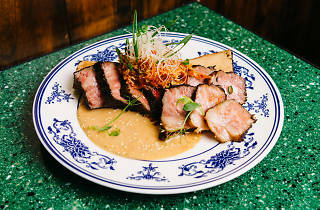 Order the twice-cooked beef short ribs ($32). 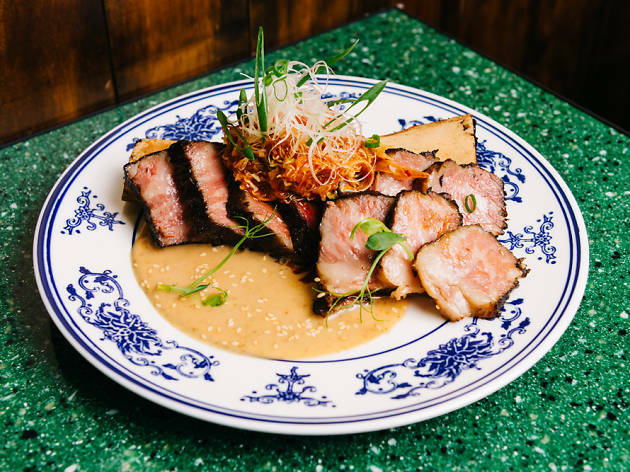 As a play on char siew, marbled beef short ribs from Australia are given the same marinade as the local pork dish before they’re cooked sous vide for 38 hours. Each slice is a party of spices and fat in the mouth, best eaten with steaming white rice to give an added texture and earthy fragrance. Hints of Japanese and Korean influences show up in a white sesame and scallion sauce, and kimchi cabbage slaw.